The next ELVN meeting will be held Tuesday, September 1 at 7:00 p.m. in the Community Room of the 19th District Police Station at 850 W. Addison. This entry was posted in ELVN News on August 28, 2015 by elvn_updates. 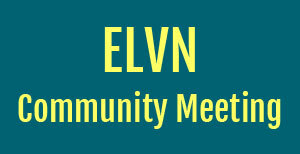 The next ELVN meeting will be held tomorrow evening Tuesday, August 4, in the Community Room at 7:00 p.m. at the 19th District police station at 850 W. Addison. This entry was posted in ELVN News and tagged ELVN on August 3, 2015 by elvn_updates.